Simply call us or contact us here and one of our seasoned brokers will get back to you. We are here to make sure you get the best French Riviera yachting vacation. With its mild climate, pageantry of wealth, low crime rate and glamorous inhabitants, it’s impossible not to fall in love with Monaco. The city-state is so accustomed to hosting the world’s top celebrities it has a zero-tolerance policy towards paparazzi – little wonder when you consider about 30% of the population are millionaires. This flamboyant haven has been one of the world’s hottest yachting destinations for decades. You will see hundreds, if not thousands, of luxury yachts moored here. St Tropez and Antibes marinas may be bigger, but the prestigious Monaco Yacht Club Marina is a must-visit for any yachting aficionado. You will also encounter more royalty, super-yacht owners, billionaires, supermodels, celebrities and aristocrats per square foot here than anywhere else on the planet. It’s like the set of a lavish movie – starring you and your yacht in the main roles. There are so many places to see – and be seen in. 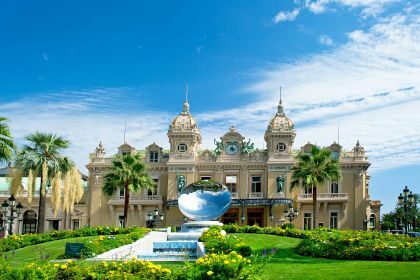 Don’t miss the Monte Carlo marble-and-gold Grand Casin, where the punters are classy and impeccably dressed and the surroundings as glittery as fine crystal. Want the best fine-dining options in Monaco? For a gourmet experience and views of the French Riviera, book a sea-view table at Le Louis XV – Alain Ducasse a l’Hotel de Paris in Monte Carlo, where the award-winning chef will delight your palate. Other top choices are Restaurant Joel Robuchon, Blue-Bay, Maya-Bay and Le Vistamar. If the sound of revving engines gets your motor running, don’t miss the Formula One Grand Prix –you don’t even have to leave your yacht. Lounge on the aft deck metres from the circuit, absorbing the thrill of the race, while watching it on a big screen and enjoying perfect service and cuisine from your crew. Get your bearings by taking a helicopter tour of the area, taking in Monaco’s top attractions, including the Prince’s Palace, the Rock of Monaco, the Monte Carlo Casin and the Monaco Grand Prix racetrack. Or swap the sky for water and go jet-skiing, water-skiing, kayaking or windsurfing. For a quieter experience, visit the Private Collection of Antique Cars of HSH Prince Rainier III in Monte Carlo. 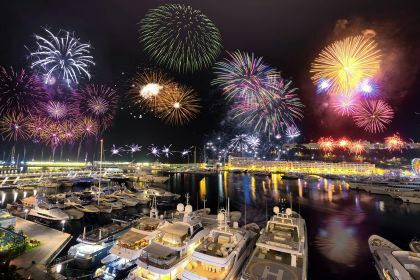 Monaco is all about luxury yachting, gambling, shopping, partying and rubbing shoulders with the fragrant and famous. Don’t miss an opportunity to immerse yourself in the glamour and natural beauty of this top yachting destination. 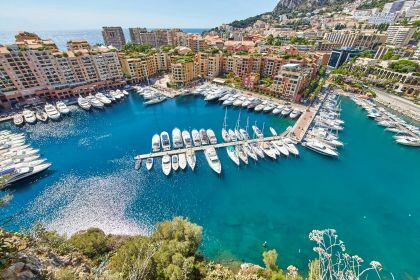 Allow our friendly charter brokers to plan your yachting vacation to Monaco and the French Riviera. Simply call us or contact us here and one of our seasoned brokers will get back to you. We are here to make sure you get the best French Riviera yachting vacation.